French TV Host Karine Lima presents a chocolate studded dress during a show as part of the chocolate fair in Paris. 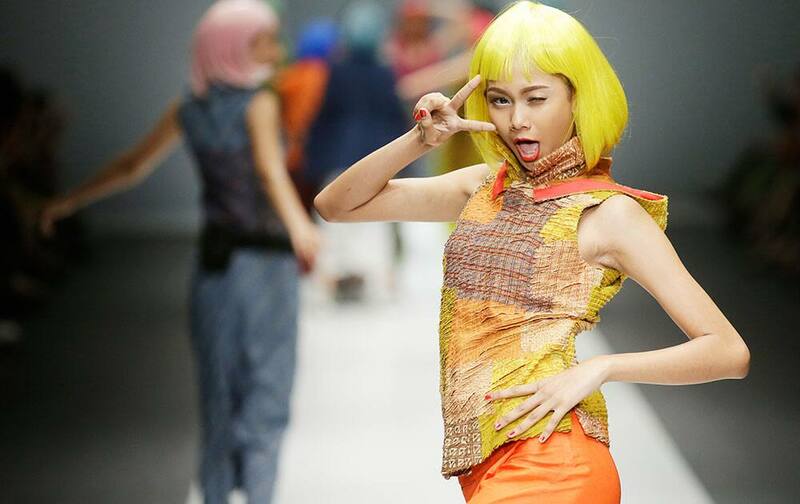 A model displays a creation by Obin during Jakarta Fashion Week. Selena Gomez, left, and Michelle Williams arrive at the inaugural InStyle Awards at The Getty Center. 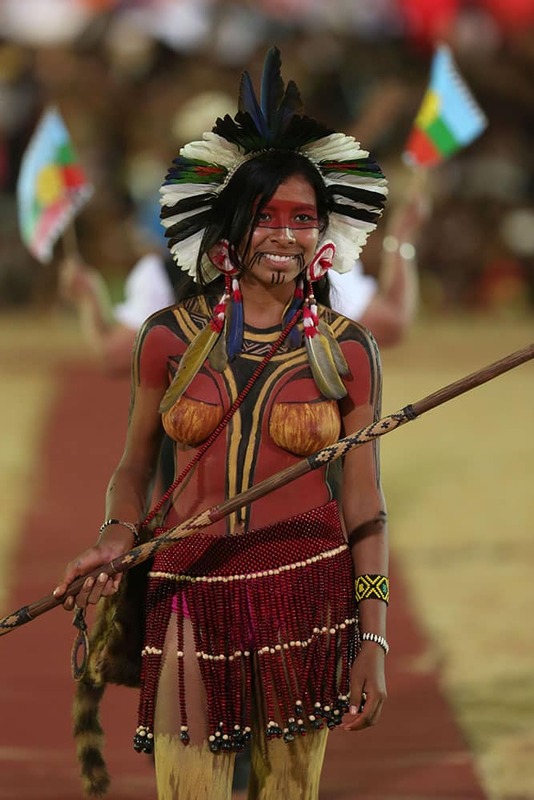 a Brazilian woman from the Pataxo ethnic group takes part in the parade of indigenous beauty at the World Indigenous Games, in Palmas, Brazil. Aymee Nuviola portrays Celia Cruz in the Spanish TV series "Celia."